Q. 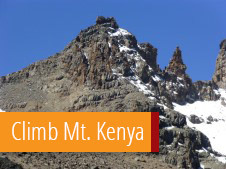 What to bring on trekking either Kilimanjaro or Mt.Kenya? Q. When is the best time to climb Mt. Kilimanjaro, Mt.Kenya? Mount Kilimanjaro and mount Kenya can be climbed all year around as well all you just put on the rain cloth during the rain season. Q. Does climbing Mt. 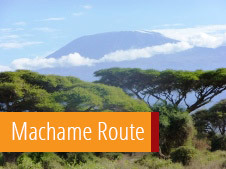 Kilimanjaro involve technicalities? No climbing Kilimanjaro does not involve technicalities.You just need to be in a good breathing system to cope with the altitude change as you go up because oxygen becomes thin. Q. Can children climb Mt. Kilimanjaro? The minimum age for trekking up the Uhuru peak (the top of Kilimanjaro) is 16 years, to Stella Point the age limit is 13 years. Q. What happens if one gets sick and has to return? If one from the group gets seriously ill,our guide will contact the headquarter to bring the rescue team which will work with your assistant guide to bring the sick person down and if necessary to the hospital while the others proceed with the head guide to the peak. Q. How do I proceed with reservation and payment? Once you have agreed on a specific tour and price the deposit of 20% of the payment through the bank is required for confirmation and reservations. The balance will be paid either two months before departure date or upon arrival before departure for the safari where our official receipt is issued. Q. Can I use Euros, Pounds, USD, and CAD in Both Kenya and Tanzania? Q. How much is a good tip? Q. What is included in your prices and what are additional costs? The amount of money you pay includes park entry fees, rescue fees, camping / hut / lodge costs, English speaking guide, cook, porters, three meals a day, mineral water, coffee and tea, Safari vehicle with pop-up roof and camping equipment, unless mentioned otherwise. 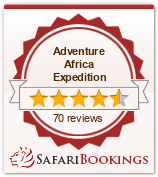 This excludes personal nature, accommodation on arrival and last day after your safari unless mentioned otherwise, tips. Q. Can I leave excess luggage while on safari? Yes. You can leave some of your luggage at the hotel in our office while on safari. Q. When is the best time to visit the parks? Most of the parks can be visited throughout the year. Kenya and Tanzania’s rainy season is from march to June, some parts of some parks will be less easy accessable. Some parks become more interesting in the dry season than in the wet season, you'll be informed about details before your booking. Q. When do we get a discount? If you have a group which exceed 5 people as you know the number of people in a group also affects the price. So the more people, the more the price is reduced per person. Q. Can you pick me/us from the Airport? Q. What to bring on safari? We recommend you to bring some stuff listed below but it usually depends on the type of safari you take. Just bring your rain cloth for emergency if you go for a camping safari but our tents can stand the heavy showers and are highly recommended in rain seasons. Q. How close do I get to the animals? As the park is not a zoo sometimes you can be very close to the animals as they come close to the cars but it is prohibited to drive off road in the park so just stick to your camera and let the nature respond to you. Q. Do I have to pay for taking pictures in the park? You do not have to pay if you are just taking pictures in the park, but you will need a certain permit if you want to make some films in the park. Q. Can I visit local tribes? What do you offer in that kind of tour? For maasai you will get the chance of learning their political, social and economic ways of this colourful tribe which is mostly based on an Age set. 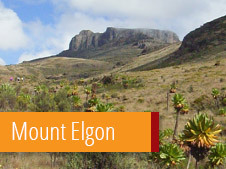 We also offer cultural safaris.